Evening gown, a woman's dress worn for formal occasions and evening events. A little black dress is an evening or cocktail dress, cut simply and often quite short. Its ubiquity is such that it is often simply referred to as the "LBD". No matter what your taste, there is always an asymmetrical dress made to suit you! Whether it's from boho to classic or from office to date, the one shoulder dress trend can be worn on any occasion. 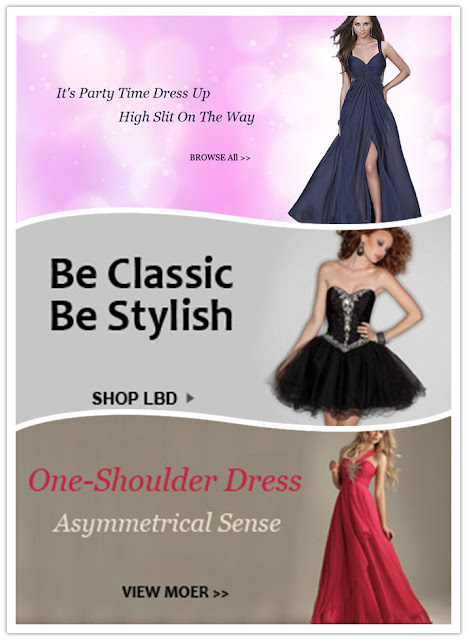 MagicDress offer you all of them, and here is the new coming banner, what do you think of it? Awesome or wierd?